Sensitive information is often coded before it is transmitted. These codes are designed to be difficult to break in order to keep this information safe from unintended recipients. A simple coded message may scramble the letters in a word or replace one letter with another. These are easy to break and not useful for sensitive information, though they can be a fun way to communicate in secret with friends. In this experiment, you will discover how quickly a person can unscramble a coded message to determine how difficult the code is to break. Research suggests that most people are able to unscramble the letters in a word, provided that the first and last letters are in the correct place. 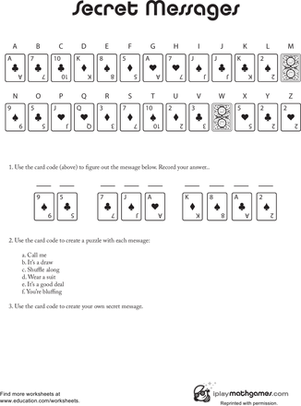 This experiment aims to discover experimentally whether this is true and whether people can also decode scrambled messages if the first and last letters are also scrambled. Can people decode scrambled messages? 20 or more subjects that know how to read well. Find a number of people willing to participate in your study. You will get more accurate results if you chose people who are strong readers. Have your subjects participate separately from one another. 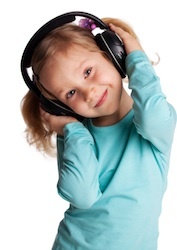 Your study will not work if your subjects hear each other’s answers. Work with one subject at a time in a closed room. Tell your subject that they must attempt the puzzle for at least two minutes after which time they can choose to give up. Have your participant read aloud a sample with the middle letters scrambled, such as the one below. Stop the timer after the subject successfully reads the message. Record the total time it took for them to decode the message. Have your participant read aloud a sample with the middle and last letters scrambled, such as the one below. It is important that this message be different from the first one but of comparable length. Have your participant read aloud a sample with all the letters scrambled, such as the one below. Repeat steps 3-14 with each of your subjects. NOTE: Stop the timer if your subject gives up and mark the time as incomplete and greater than the time you stopped at. Have your subject work on the puzzle for at least twice as long as it took them to decode the previous message. Tihis is a spilme tset to dteenmire wethehr you can sltil raed tihs stencene eevn tghuoh the ltreels are in the ireorcnct oderr. Answer: This is a simple test to determine whether you can still read this sentence even though the letters are in the incorrect order. Teh qciku bnrow fxo jpduem oerv teh lzay dgo woh coedtinun to sepel all tohrhug teh dtbceniusra bcsueea he wsa vyre tredi. Answer: The quick brown fox jumped over the lazy dog who continued to sleep all through the disturbance because he was very tired. Ti saw a kdra nad tosrym hting enhw eth amn rrdavie ni eth ookysp acslet heewr a blto fo ntggliinh nanondeuc sih rivalra. Answer: It as a dark and stormy night when the man arrived in the spooky castle where a bolt of lightning announced his arrival. Then create messages of your own! 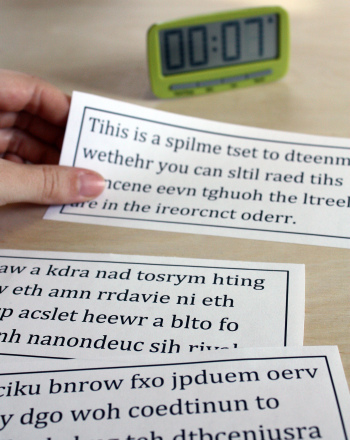 Use this resource with your students to practise decoding by focusing on the beginning and end sounds in a word. Their sentences are completely scrambled! 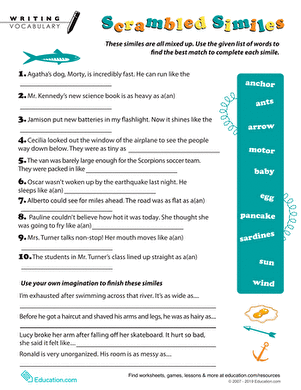 Can your child make these silly sentences make sense? 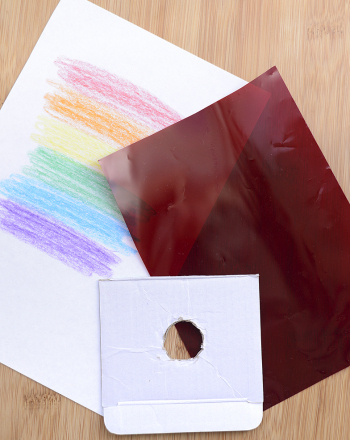 Kids learn how to manipulate additive and subtractive colors to send secret messages with red colored filters in this cool science fair project idea. Turn text messages full of abbreviated language and lacking punctuation into proper English. Your first grader or preschooler will love this arts and crafts activity. 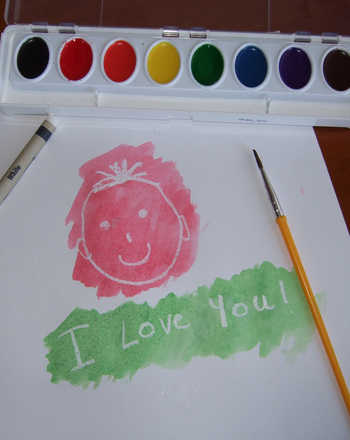 Write an "invisible" message in white crayon, then paint over it to reveal the secret! Studying your state capitals got your brain scrambled? 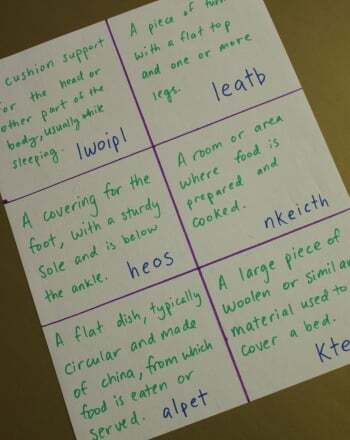 Try this word scramble worksheet on for size.